Click here to see our SEN combination kit offer! Mantra Lingua were at theTES SEN Show 2018, showcasing new resources that enrich learning in diverse classrooms. Tactile Talking Books, Musical Play mats and Kamishibai Story telling Stage and Props, these all trigger children to respond with speech, action, and excitement. They are something totally new but easy. They can record their own voices in books, play mats and sticky labels- just watch them amazed at hearing their voices played back! Our Kitabu e-book library of over 550 titles is dyslexic friendly. Readers can enlarge the font and listen to the word highlighted text. Our approach is less through structured reading schemes but more towards the enjoyment of story-telling, video and games. Text is not the prime feature but works equally with audio and visuals, giving a multi-dimensional enjoyment of story telling and literacy. Our ‘Kitabu’ ebook library has over 550 titles in English and 37 dual language editions. There are well-known stories, stories from around the world, reference books, and also books set in today’s world. eBooks are a great way to improve reading and enjoying books. For dyslexic readers, there is a huge range of books in sans serif (Arial) and for those who specifically want ‘dyslexic friendly fonts’ we have a growing number of titles. We want to encourage reading, not by going through structured reading programmes but through the joy of stories and their telling. Therefore all text is spoken, even in the home language for dual language editions. For dyslexic children, text can be enlarged, and listened to with words highlighted as they are spoken. 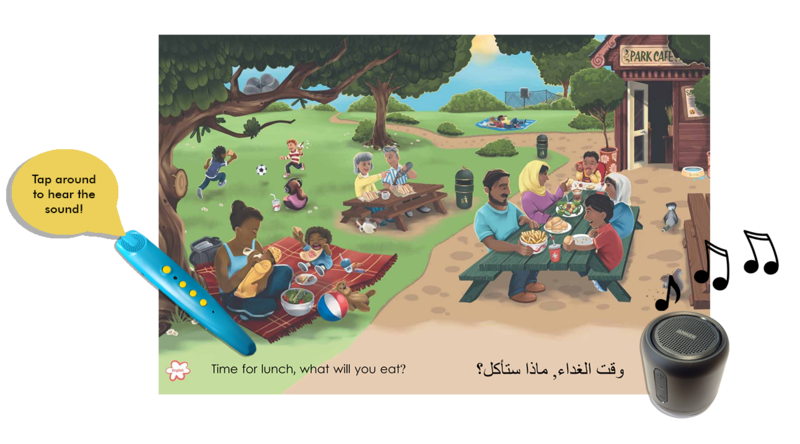 Every story has a video just to enjoy narration and at the of each book there are flash cards with audio, label the parts, sequence the story, make word picture connections… These activities are designed to succeed and to encourage a love for reading. SENCOs can monitor progress and share notes on any page, suggesting difficult words for Teachers to be aware of. Kitabu ebooks are unique in their versatility. Prices range from £2.50/yr and bulk licences are feasible. Watch this video to see how our Kitabu e-book library can be a useful tool for children who are reluctant readers. Read alongside visuals and audio, repeat and enlarge text whenever you like, and personalise the book with helpful notes. We also have a range of books with dyslexic font. Kamishibai is an old Japanese Story-telling style that Disney nearly wiped out. It is making a revival in Europe, especially Germany, Sweden. It provides visual content or props for the teacher and audience to story-tell in their own way. Well-known stories retain the illustrations but no text. Let the children talk about the Hungry Caterpillar in their own words and even languages. Kamishibai slows down story-telling, with plenty of scope for self-expression, speaking and listening, and develops teamwork and social etiquette within the group. The absence of text leaves space for visual imagination and oral expression. Below is a ‘migration story’ which is very effective in bringing out experiences, stories, events; or you can use blank cards to enable traumatised children to express themselves. their feelings, their journeys. With Kamishibai Story Props Including classic titles such as the Three Billy Goats Gruff, Goldilocks and the Three Bears, The Very Hungry Caterpillar... and many more. OR create your own Props with tactile elements, personal artwork and audio. Bring paper to life in your classroom or home with the CRPEN and wireless Bluetooth speaker. Buy now! Explore our multi-sensory books with visual, audio and touch. There are over 1250 titles we publish, most of which are sound enabled for our PEN reading devices, including PENfriend! Touch the top left or right of any page and listen to the text spoken in English, and with over 67 home languages. These stories are great of VI parents or children as well as SEN children - learning is intuitive, touch and hear, move around the pages at your own pace. And… VI parents can record their voices on every page and share the joy of picture books, especially with the tactile versions. This is a world’s first! These Talking Play Mats have a 3mm cushion and are child safe and can be walked on wearing shoes. But… the mats have sound spots which play music or stories or poetry. Take your favourite CD and with our simple free software - CreateLINK - you can link your songs to any sound spot on the mat. It comes with the “Bend and Stretch” CD by Sticky Kids*. Use with the CRPEN + Bluetooth Speaker to get a loud sound for all the children to join in. And you can add the class voices without over-writing the songs! Join the mats together for a larger musical play mat. See our website for coming designs. This is 1.5m by 1m but we can customise mats specifically for your school, with school logo, up to 2.5m by 1.5m. Prices from £90 upwards. 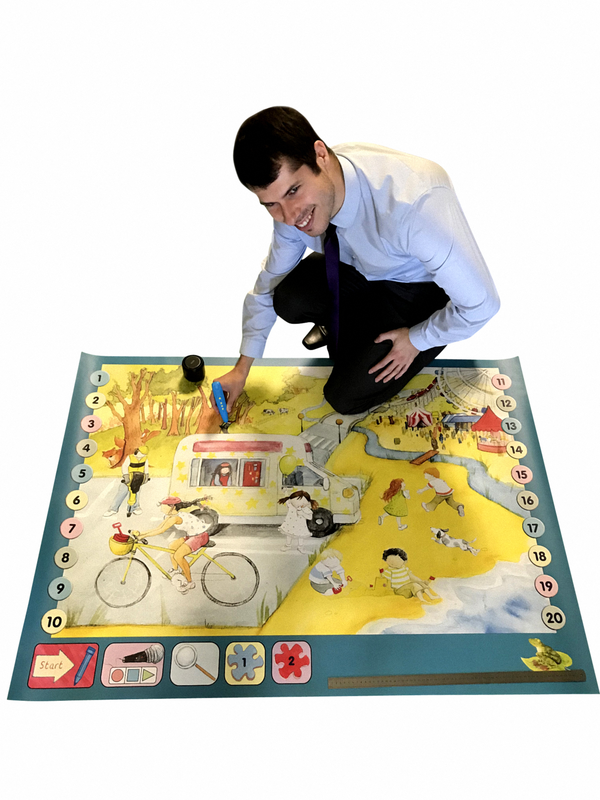 Using the Play Mats, Control Panel, a ClassroomPEN and wireless Bluetooth Speaker, activity comes to life as you work together. The Mats can be used as a learning tool for languages, numbers, colours and shapes, or as a fun way to get active!